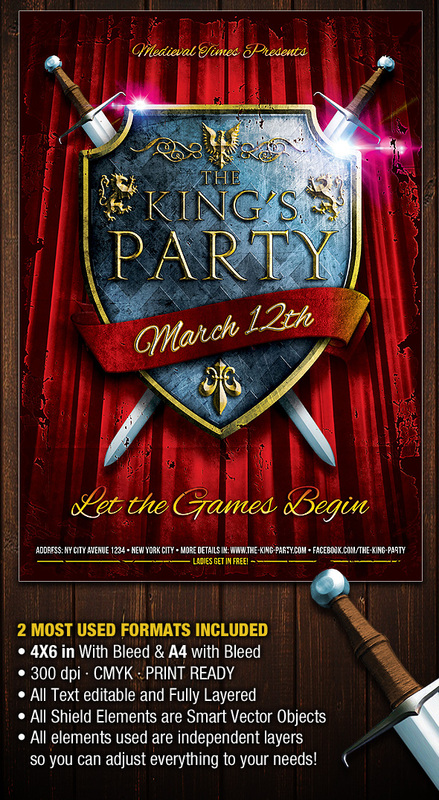 This is a professional Designed Party Flyer Poster with a Medieval King’s style. This flyer was inspired by the legends of Kings and Queens, Knights and Dragons we all grew up too. This will look great in any type of event, such as: party, concert, gig, show, karaoke, bar, convention, etc. It comes in full resolution 300 dpi, CMYK, Print Ready, in 4×6 inches and A4 format, plus bleed. The Photoshop file is fully editable with easy named layers. Very easy to edit and Customize! 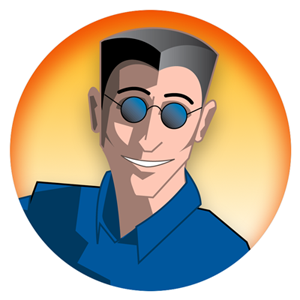 ALL text is editable and it uses free fonts, and ALL elements are independent layers. Use the old torn paper look, or turn it off and go with the pristine clean look! This flyer includes everything you see above! All shield elements are vector smart objects that you can scale without loosing quality!